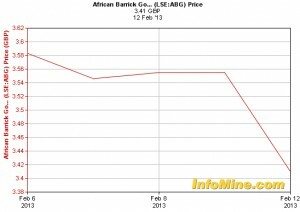 Shares in African Barrick Gold PLC (LON:ABG) dipped nearly 10% on Wednesday after its 2012 preliminary results came in below expectations. On Wednesday Tanzania's largest gold miner posted a fourth quarter loss driven by heavy write-downs and a warning of a further fall in output. The company, majority owned by Canada’s Barrick Gold Corp. (TSX, NYSE: ABX), says the net loss in the three months ended Dec. 31 was merely below $46 million or 8.5 cents per share. The gold producer posted profit of $55.1 million or 12.8 cents per share a year earlier. 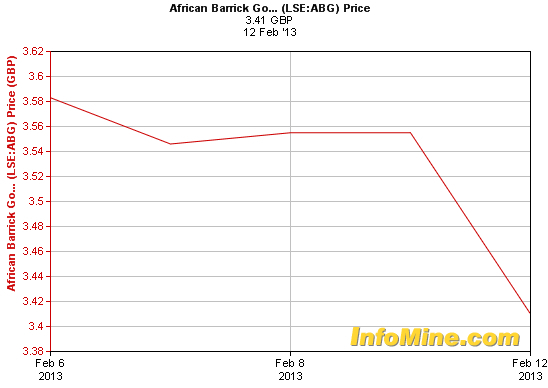 However, African Barrick said revenue rose to almost $288 million from $285 million. The firm reported its cost of sales rose to $217.8-million in the quarter compared with $177.5-million in the 2011 period. It also took a $44.5-million impairment charge, versus none in the year-earlier period. On an adjusted basis, net earnings were $11.3-million or 2.8 cents per share in the quarter, down from $52.7-million or 12.8 cents per share. “As we progress through 2013, we are focused on reducing our cost base from current levels to ensure the business returns to delivering appropriate levels of free cash flow,” African Barrick chief executive officer Greg Hawkins said in remarks accompanying the results. “Cash flow generation and improving returns from our assets form a key part of our operational review and we will update on our progress throughout the course of the year,” he added. The gold miner said it expects to produce between 540,000 and 600,000 ounces of the precious metal this year at total cash costs, including royalties, of between $925 and $975 per ounce sold. 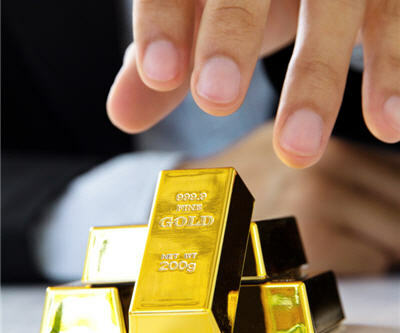 Gold production in 2012 was 626,212 ounces at a cash cost of $949 per ounce sold. Last month the company began an operational review of its business, which aims to reduce operating cost, and review capital discipline, organizational restructure and mine planning deliverability.